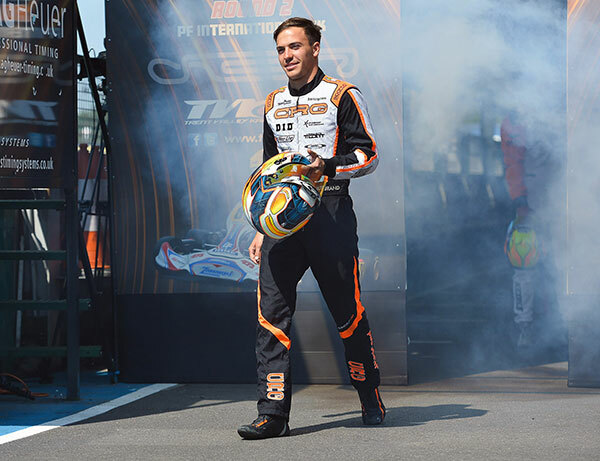 The name of Pedro Hiltbrand, Spanish driver from Blanes (Girona) born in May 1996, is strictly connected to that of CRG in International Karting. He has been competing among the fields of the Italian outfit for several seasons and won the OK World Title in 2016, the KZ2 International Super Cup and the OK European Championship. Looking for new adventures, he made a different choice in 2017, but he came back home at CRG’s Racing team at the beginning of 2018, as he himself stated: “The feeling I got at the beginning of the year was exactly that of coming back home, a place were you are comfortable and capable of showing your best.